40 Grit Live at Sawdust City Brewing Co.
Make sure to check out 40 Grit Live at Sawdust City Brewing Co. February 23rd. With the great tunes from 40 Grit and the awesome selection of beverages at Sawdust City, you will be sure to have a fantastic evening! 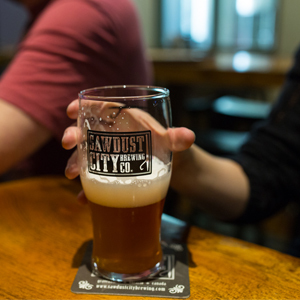 For a complete list of events taking place at Sawdust City Brewing Co. please follow the link provided.